My family loves granola so when we spend time in the mountains of Colorado we like to bring some with us on our hikes. However, have you ever read the nutritional labels on the packages? 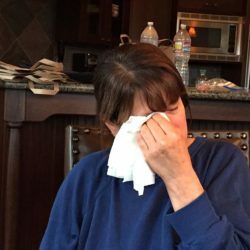 If you’ve been a follower of At Home with Vicki Bensinger for a while, you’ll know that my family is funny about eating foods high in fat and calories, even though I’ve told them time, and time again. if you take away the fat, other things get added for flavor – sodium is just one of them. Moderation is key to any diet in my opinion. After reading the nutritional content on several boxes as well as gourmet markets that make granola daily, I decided to come up with my own low calorie and low fat version. 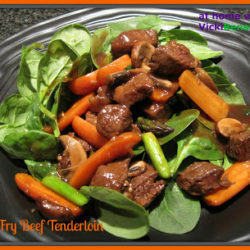 When I first started my blog back in 2009 I posted this recipe but had very few followers back then. Now 5 years later I decided to post it again especially since I just made a batch. 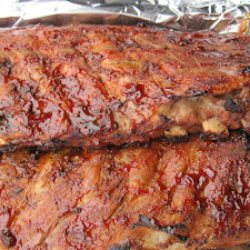 We love this recipe and I think you will as well. Since some of my family prefers just raisins in their granola those that want almonds, sunflowers seeds, dried cranberries, dried figs, etc. add their own once the basic recipe is completed. 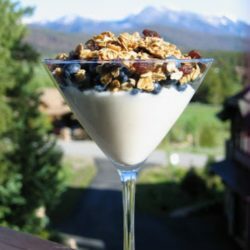 Granola is perfect with fresh berries and yogurt all placed in a parfait glass as shown above, and served for breakfast , brunch, or a light afternoon snack. It’s perfect when traveling on the road for a healthy treat, or added to your cereal. Be sure to have extra ingredients on hand to make another batch, since I’m sure your family will gobble it up as quickly as mine. This low fat version of granola will have you coming back for more. 1. Place oatmeal in a large bowl. 2. In a saucepan, combine brown sugar, apple juice, honey and cinnamon; bring to a boil. Remove from the heat and stir in vanilla. 3. Pour mixture over oats and stir to coat. 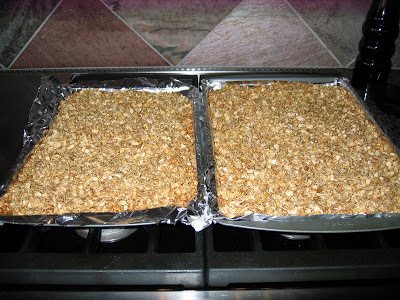 Spread oat mixture onto a large sheet pan covered with heavy duty foil and place in oven. Bake at 350F degrees for 15 to 20 minutes, stirring occasionally. 4. Cool completely before adding raisins. Store in an airtight container. Note: Feel free to add other ingredients: dried cranberries or other dried fruits like blueberries and raspberries, nuts, etc. 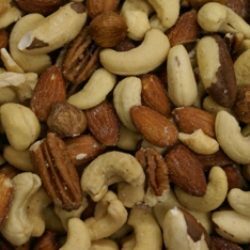 For added protein almonds or other nuts are perfect especially if taking the granola on hikes. I have seen so many recipes for homemade granola and yet have to try to make…thanks for the recipe…your granola sure looks delicious…and yes like the idea of low fat. This is so tasty you won’t believe it’s low fat. However feel free to doctor it up with almonds, and other dried fruits. 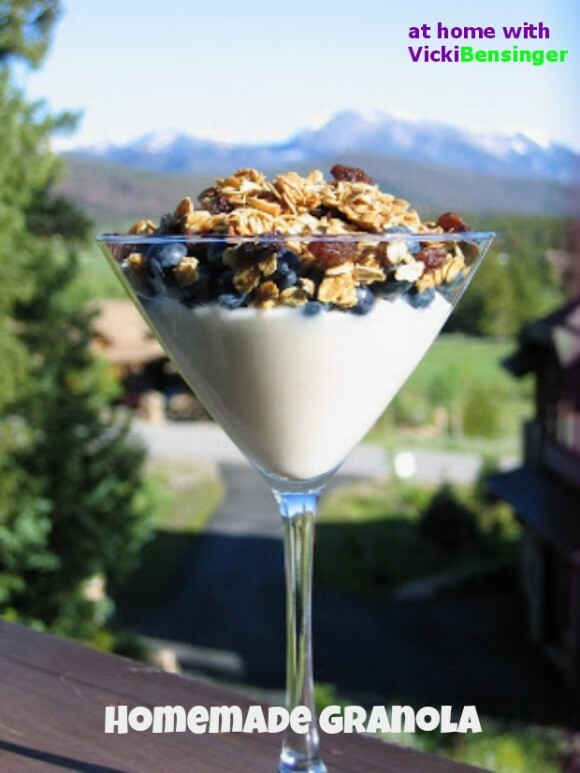 Great looking granola! Such a wonderful looking treat. And you’re right about the fat — a lot of the substitutions have done a lot more harm than the fat possibly could have. Anyway, great recipe — thanks! I find I eat less when there’s fat added and more when it’s fat free. Plus a little fat definitely is more satisfying. That said, moderation is key to a healthy lifestyle. I made granola for the first time this year. I made it twice and then made some bars. I stopped making it because I must have gained 10 pounds. 🙂 I’ll be kinder to myself next time. Try this version Maureen, it’s definitely low in fat. Of course moderation is key to anything. We are huge fans of homemade granola, esp. when made into bars…absolutely delicious! We love granola bars as well. Somehow though this granola disappears quickly in my house. Vicki your granola looks amazing! I can imagine how wonderful your kitchen smelled. I’ve only made it once but long ago, thanks for the reminder and recipe. It’s such a great snack and yes the house always smells wonderful when it’s baking in the oven. You should make some again. The apple juice is a nice sweet touch by the way! I used the apple juice as a replacement of a high fat ingredient. I can’t recall what it was since that was some 5-6 years ago. I hope you’ll try this. It’s easy, delicious and nutritious! homemade granola is just the best thing ever.. love this recipe. definitely giving it a go in my kitchen! I love to make granola too and your posts reminds me that it’s been a while since I’ve made a batch. Today would be a great day to fix that 🙂 I love the apple juice in your recipe. Looks delicious Vickie and what a FABULOUS backdrop, wow! 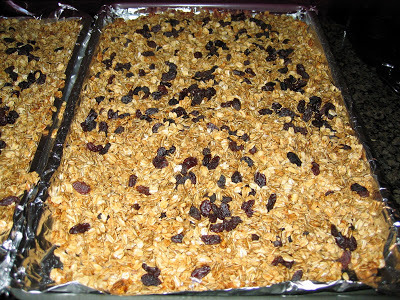 We too love home made granola and we usually turn them into bars. Aren’t these great over ice creams and puddings too! I agree – Granola is a great thing to take on hikes and backpacking trips. Love your granola! I’ve never used apple juice to make granola. Sounds good!